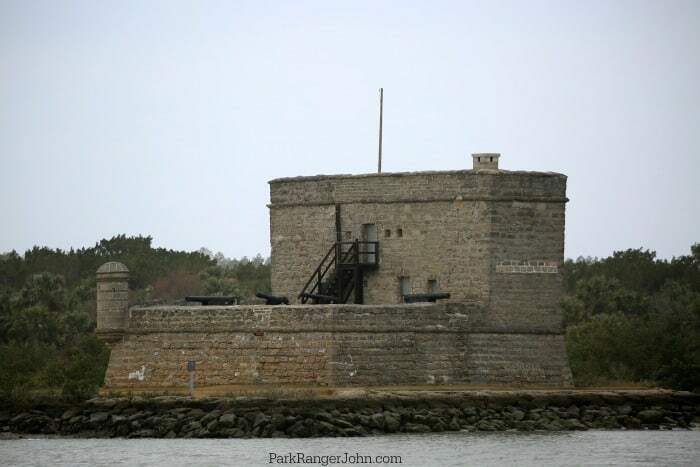 Fort Matanzas National Monument is located 14 miles south of St. Augustine, Florida. St. Augustine is also home to another famous fort and National Park site, Castillo De San Marcos National Monument. Castillo De San Marcos was constructed in 1695 and was Spain’s military outpost. The Matanzas inlet was the only weakness to Castillo De San Marcos and St. Augustine so Fort Matanzas was constructed in 1740-1742. Fort Matanzas was built with coquina which is a limestone-like mix of shells and sand naturally cemented with calcium carbonate. The fort was attacked while under construction by the British but were repelled by Spanish ships. After the fort was completed it only saw action once in 1742 when British ships sailed into the inlet but turned back once they face cannon fire. Included within the National Monument are the 300 acres of barrier island salt marsh, forest, and dunes. 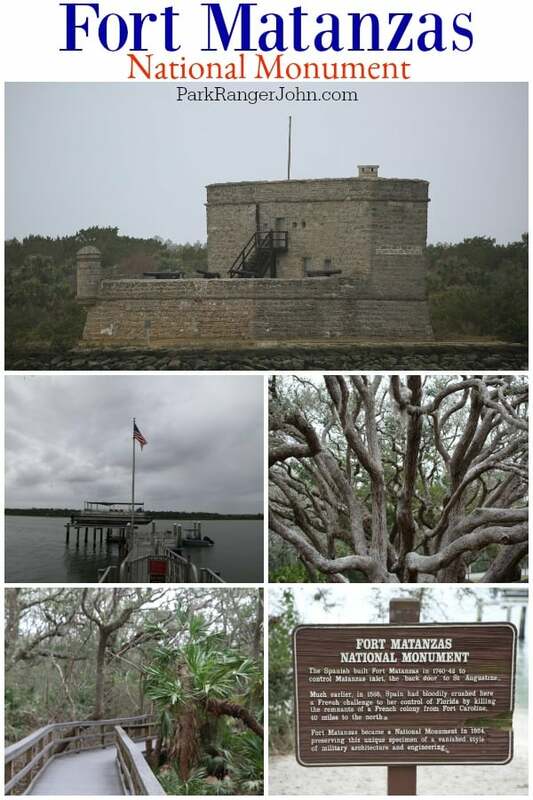 Fort Matanzas is located on Rattlesnake Island and you will need to be on an NPS ferry from Anastasia Island. Stop by the parks visitor center and watch the 8-minute video about the park’s history. This will definitely lead to a much better understanding of the area and the importance of these forts. This is also the place to get your boarding pass to catch the park’s ferry across the river to Fort Matanzas. The boarding passes are free but you must have a boarding pass to ride the ferry. Don’t forget to ask the ranger or park volunteer in the visitor center about birdwatching opportunities in the area. I was given all kinds of great information and ended up seeing lots of birds! The ferry ride is operated on a first come-first served basis and can hold 35 passengers per trip. The only place to get your boarding pass is the park’s visitor center and there are 8 daily departures depending on the weather. Departure times are: 9:30am, 10:30am, 11:30am, 12:30pm, 1:30pm, 2:30pm, 3:30pm and 4:30pm. 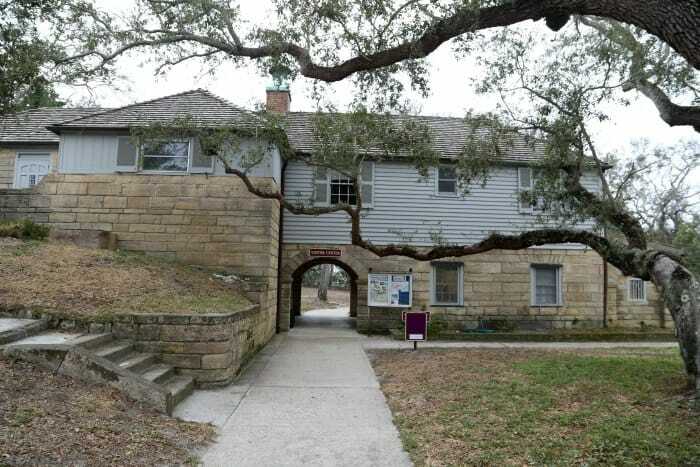 Make sure and get your boarding pass from the National Park Service Fort Matanzas visitor center and not from the city of St. Augustine visitor center. 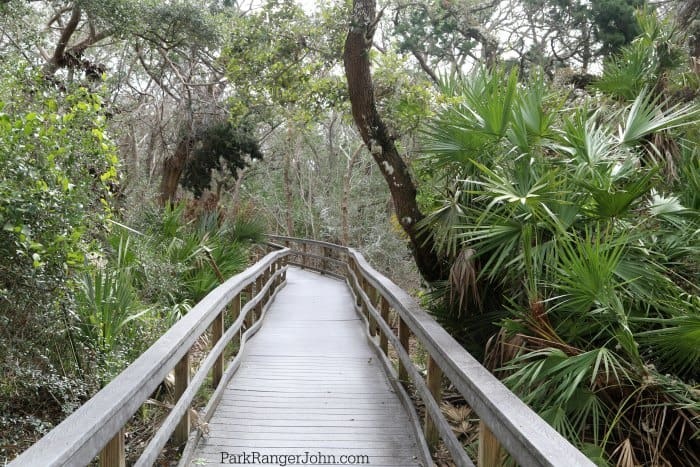 This is a very relaxing 1/2 mile boardwalk nature trail! You get to enjoy a leisurely stroll through the maritime forest while listening to the birds and enjoy the shade from the Florida sun. 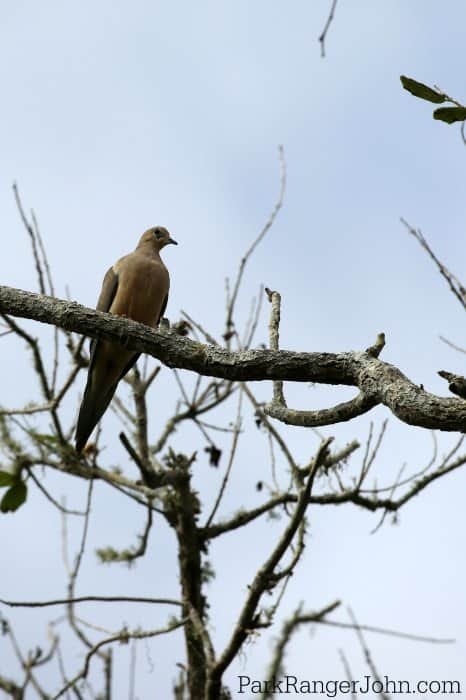 Fort Matanzas is a great place to go birdwatching! You have the Atlantic nearby, the Matanzas River and the Maritime forest to attract all sorts of birds from Herons, Egrets and many other shorebirds to owls, doves, Tanagers and buntings! There is much more than this so make sure to get their bird list and see how many you can find. Park Hours: 9 am through 5:30 pm daily. Fort Matanzas is closed on Thanksgiving Day and Christmas Day. Entrance Fee: $0.00, There are no fees to enter the park or to take the ferry to the fort. Alcohol and Metal Detecting is prohibited. Do not climb or sit on fort walls.